24 m x 70 cm chacun, fer, ampoules électriques (12w), 4 batteries de voiture. 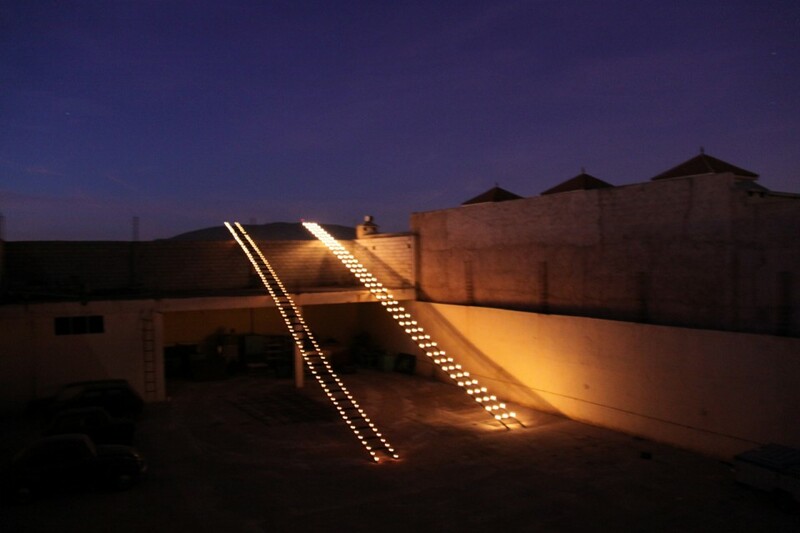 I imagined an installation that would be a link between the courtyard of this space and the mountain that is visible in the background. This space becomes part of the mountain. The top of the Ladders touch the mountain and enables the 2 Peacocks that live near by to climb to the summit and sit on the top of the mountain. With this installation they can fly and run away. 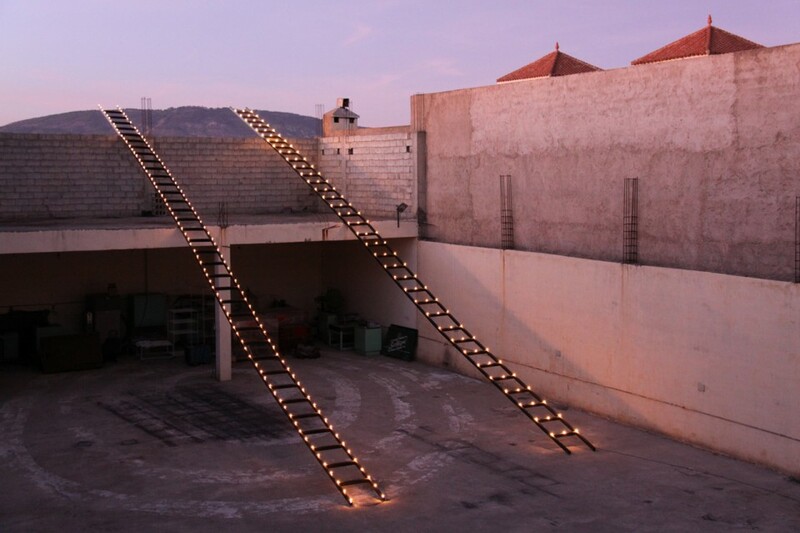 This installation is a mix between a Ladder and a take off ramp not only for the 2 peacocks and the spectators but also for the whole building, giving it the possibility of a perpetual launching movement.